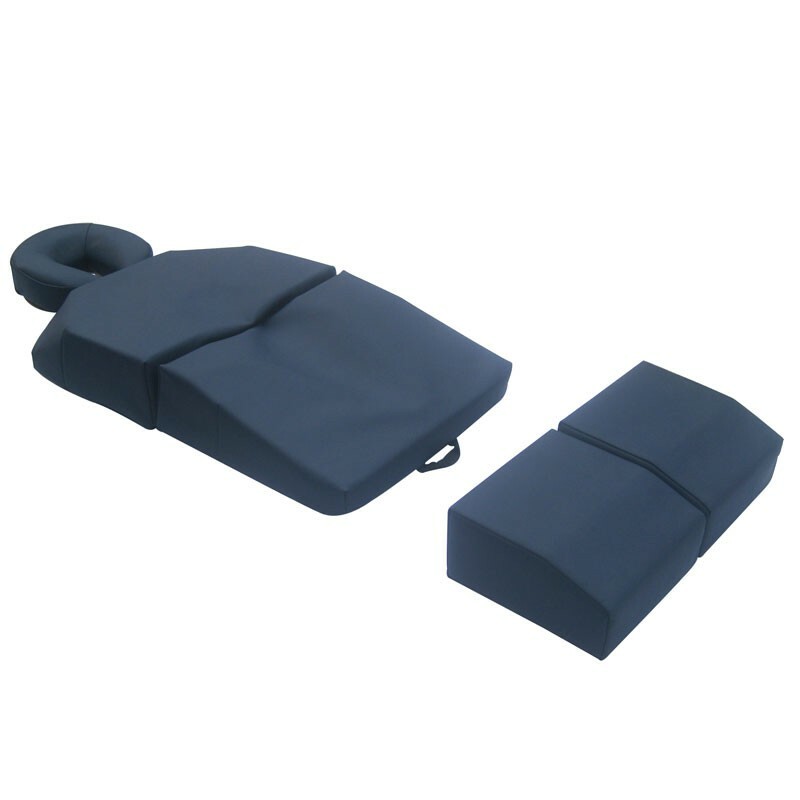 Full adjustable ergonomic positioning system with recessed areas specifically for spa and massage treatments, particularly effective when used with large or pregnant clients. Fits any sized couch or can be placed directly on the floor. Comprises face, sternum, pelvic and split leg bolsters and carry case. Available in Navy Blue and Biscuit.